Interested in meeting the people behind this blog? Want to write for the blog? Want cookies? 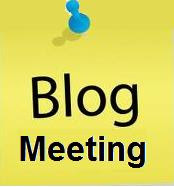 Come to tonight's BDU Blog Meeting! We're looking for new writers of all years and identities! Email Risa if you don't know where that is, if you are interested in writing/being involved but can't make the meeting, or if you have any other questions.